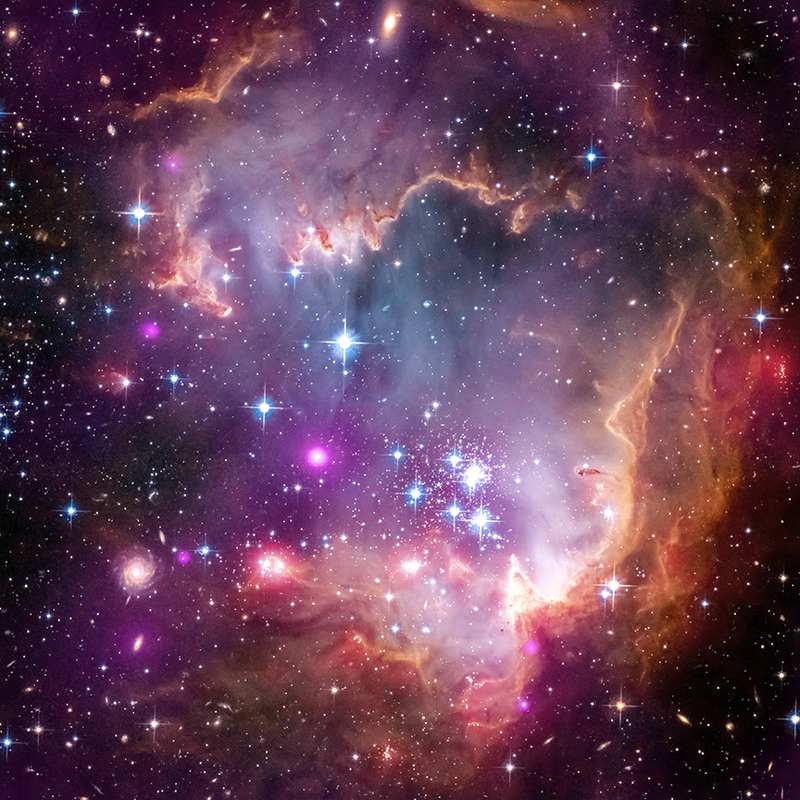 The Small Magellanic Cloud (SMC) is our closest galactic neighbor. It is approximately 199,000 light-years away from Earth, which may seem far from our perspective. However, on a galactic scale, this is comparable to the distance between atoms. Although classified as a dwarf galaxy, the close proximity of the SMC allows for easy viewing fom the unaided eye. Found in the constellation Hydrus, sky-watchers positioned in the Southern Hemisphere have ample opportunities to view this cosmic neighbor. Using the Chandra X-ray Observatory, different aspects of stellar formation are easy to study in close galaxies. The SMC is where we discovered the first region of young stars located outside the Milky Way with similar masses to our Sun. X-ray imagery from Chandra played a huge role in this discovery, and the close proximity of the galaxy also facilitated to the process. The Small Magellanic Cloud and its cousin, the Large Magellanic Cloud, were named after Portuguese navigator Ferdinand Magellan, who, like many others of his time, used the galaxies to aid in oceanic navigation. He became the first person to circumnavigate the Earth.